Now that the exams have been completed and we are moving toward the end of term, We would like to confirm the arrangements for receiving examination results by pupils in Years 10, 11, 12 and 13. Pupils who have completed AS and A levels are able to collect their results from the school hall on Thursday 16th August. A level results will be available from 9.30am and AS results will be available from 10.30 am. Mrs Bosher, Head of Sixth Form will be available during this time to discuss any matters relating to the results, for example university places and returning to Year 13. Pupils who have completed GCSEs are able to collect their results from the school hall on Thursday 23th August. 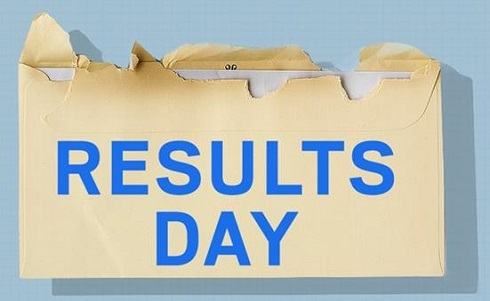 Year 11 GCSE results will be available from 9.30am and Year 10 GCSE results will be available from 11.30 am. Mrs Bosher, Head of Sixth Form will be available during this time to discuss any matters relating to entry into the Sixth form. Pupils will need to confirm their place in the Sixth form on this day. Results must be collected by the pupil themselves. If this is not possible, the person who is collecting the results on the pupil’s behalf, must bring a letter, signed by the pupil giving permission for them to be collected by another person. This includes parents/carers. We look forward to seeing the pupils on these dates and sharing in their successes.